Luxor two days excursion with possibility of hot-air balloon ride over the city and observe its ancient temples and sites from up. 18:00 pm In the early morning experience Hot-Air balloon ride. Transfer to the West bank of Nile to discover Medinet Habu Temple. Visit to Valley of Nobles and some of its tombs opend to public. Flight to Sharm el Sheikh will take 50 minutes. Transfers by a/c car in Sharm el Sheikh and Luxor. Valley of Nobles and Karnak temples entrance fees. Professional English speaking Egyptologist tour guide for 2 days. Pick up from your hotel in Sharm el Sheikh, transfer to Sharm el Sheikh airport, fly to Luxor. The flight will take around 50 minutes. The Valley of the Kings is the ancient cemetery of the pharaohs of the New Kingdom and is hidden in the mountains on the West Bank of Luxor, between the two limestone hills of Gurna. It was named by Francois Champollion as Valley of the Kings. All of the tombs were robbed in antiquity, except for the tomb of the boy king Tutankhamun which was found completely intact in 1922 by Howard Carter. The Valley of the Kings holds 63 registered tombs and recently 2 more tombs have been found. Your visit includes entry into 3 tombs, however if you wish to see either the tomb of Tutankhamun or Ramses VI, there is an additional ticket cost. Hatshepsut temple is a mortuary temple with a unique design as it is the only temple in Egypt built in terrace formation into the cliff face. Hatsheptsut was a famous female pharaoh who wore a false beard and all the trappings of the male pharaohs in order to claim the throne for herself. There are chapels dedicated to Hathor the goddess of motherhood, joy, love, peace, happiness and music, and chapels dedicated to Anubis, the god of mummification and death, and Amun-Ra the king of the gods. On the temple walls are reliefs showing the first commercial trading expedition to Somalia (ancient land of Punt). Colossi of Memnon are the only remaining standing statues fronting the mortuary temple of Amenhotep III and show the pharaoh sitting on his throne. The temple itself was destroyed in an earthquake and much of the ruins were used in other building works by other pharaohs. However, in recent years, new excavations have revealed many statues and other artefacts buried underground, including many statues of the goddess Sekhmet. The night you will spend in Steigenberger Nile Palace 5*hotel on BB basis, dbl accommodation. 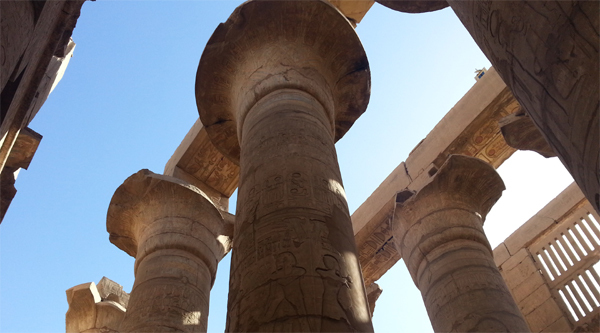 In the evening you can do extra activities such as Sound & Light show at Karnak temple or Luxor temple. Our wonderful day will start with early wake up at 4.30 am. At 5.00 am pick up from the hotel and sail to west bank of Luxor by boat. 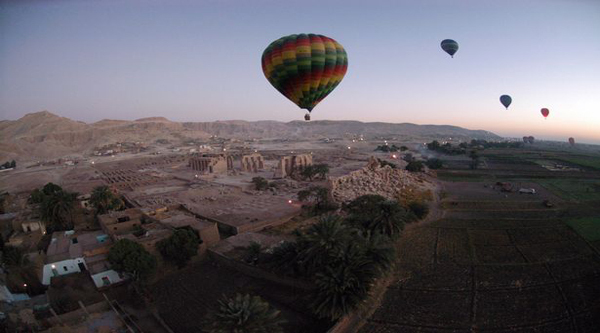 You will have an amazing ride of hot air balloon over Luxor, you will watch spectacular sunrise as you have never seen before, you will also enjoy with the tranquility and peace while you have a unique viewpoint which can be only provided by hot air balloon to see all sightseeing of Luxor. After the ride you will get a certificate and T-Shirt of Hot Air Balloon Ride. All the tour will take around 2 hours, Hot-Air balloon ride itself takes 45 minutes. 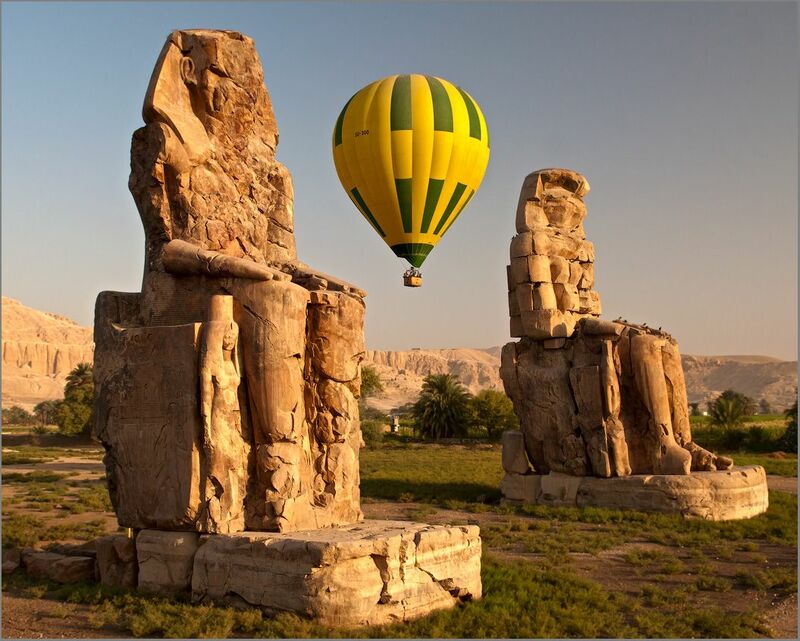 After hot air balloon ride, we will visit the Mortuary temple of Ramses III also known as Medinet Habu, which is considered the second hugest complex after Karnak in size and preservation. The spot of Medinet Habu was sacred long before his time and is still regarded by locals as having magical powers. 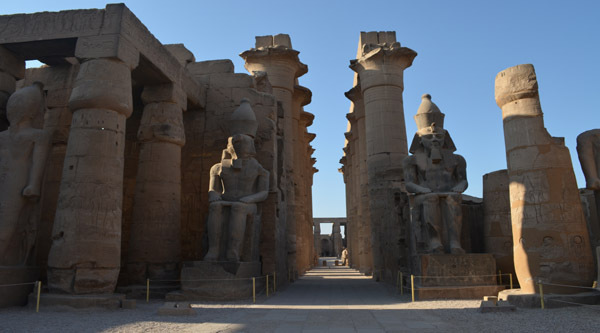 Next stop at a relatively small temple built by Ramses the 2nd known as The Ramesseum.. Recent excavations there revealed many interesting facts and buildings of the era. At the end of our tour we will transfer you to Luxor Airport and from there you will fly back to Sharm El Sheikh. Our rep will meet you at Sharm el Sheikh airport upon arrival and transfer to your hotel. Luxor for two days by air is an amazing trip. We were with a personal guide called Ahmed who was outstanding-made Ancient Egypt really come alive. We added the additional hot air balloon flight onto the second day and it was an amazing experience and we felt it was excellent value. 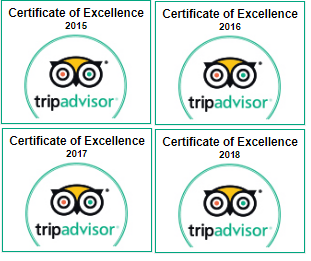 We stayed in a fantastic hotel and really cannot fault the service we recieved in Luxor.